Safety Culture 2018: How Is Training Impacting Your Efforts? The impact of safety training on your overall cultural efforts is enormous. But how can you implement training that will engage your employees, and what common mistakes must you avoid? 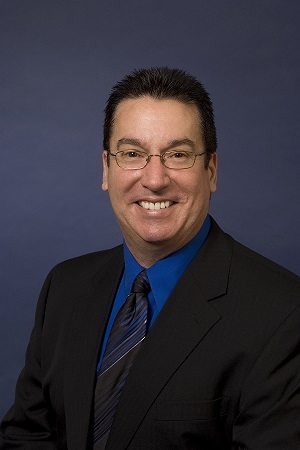 The EHS Daily Advisor gets some tips from Thomas E. (Ted) Boyce, Ph.D., a learning expert and a speaker at the upcoming Safety Culture 2018 event. Boyce is a learning specialist who is Founder and Senior Consultant with the Center for Behavioral Safety, LLC, a consulting firm that turns managers into leaders and helps companies create a productive injury-free workplace. He recently answered some common questions on how safety culture is entwined with good training practices. Q: What makes safety culture so important in today’s EHS landscape? A safety culture reflects a group’s shared attitudes, beliefs, and behaviors regarding safety—it is what people say and do, and it influences the level of risk employees are willing to take or tolerate. Since there is a limit to how much safety improvement you can get through enforcing rules, regulations, and policies, the only real pathway to “true zero” is through not only changing what people do for safety, but also the value they assign to safety when other demands compete. This value is established by the cultural norms. Learn more at cbsafety.com or contact Dr. Boyce at ted.boyce@cbsafety.com. Q: What recent trends in adult learning have had the most impact on the way safety training is delivered and received? Training today has to engage employees. State-of-the-art in doing this are interactive in-class exercises coupled with targeted, self-paced online learning. We call this a “blended approach” to education. Good trainers will do less talking and more facilitating—this allows more room for self-reflection and active participation of their trainees. In essence, participants should be able to practice in training what they are being asked to do in the field. Q: What are the top 3 keys to overcoming the various issues facing safety training programs today? Recognize that how you train is as important as what you train. Work with a learning specialist to train your trainers, develop your content, and attend conferences that share best practices in adult education or find a peer group to accomplish the same. Assume that performance problems are knowledge or skill issues. Develop a deeper understanding of human behavior so you can separate knowledge from motivation issues. Let’s be honest, “can’t do” is different than “don’t want to do.” Each requires a different approach to behavior change. Keep things fresh. Look at safety from the perspective of the employees by establishing a culture of communication and reporting. Address issues in real time, not just when employees haven’t been trained in a while. Engage the learning specialist I mentioned in point number one for more insights. Q: What’s the biggest mistake that a safety trainer can make that will damage company safety culture? While failing to lead by example (i.e., asking of others what they are not willing to do—or don’t do—themselves) is extremely detrimental, another mistake is the failure of trainers to acknowledge that they don’t know everything. Trainers must remember that those doing the work often have a lot of knowledge and expertise to offer. When you properly engage your trainees as a facilitator, this expertise is harnessed and the entire training session takes on a different, more positive tone. As a result, not merely attending, but participating in training becomes a valued activity. Q: Are you generally optimistic when it comes to the future of safety culture and training initiatives? I am generally optimistic that we have the tools available to improve safety culture. I am less optimistic that regulators will acknowledge the limits of enforcement in developing a safety culture, and that leaders of organizations will recognize the value of building relationships and partnering with those doing the work to produce safety improvements. People resist things that are forced upon them and embrace things in which they are involved. This speaks to the value of focusing on how you train. As an applied psychologist, I have seen exponential learning gains produced by minor adjustments in the “how” that are often overlooked by people who do not have a proper knowledge of human behavior and learning. 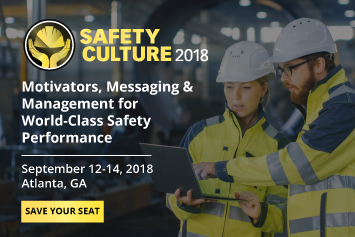 Join Ted Boyce, Ph.D., for his educational session, “Training & Messaging: How to Keep Your Employees Engaged,” at Safety Culture 2018, taking place September 12–14 in Atlanta, Georgia!